Full Service: We can take care of everything, start to finish! Experience: With hundreds of systems installed throughout North America, no other company has more experience and know-how to provide a full service media replacement than AdEdge. 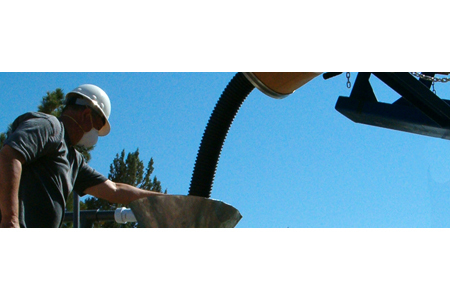 Low Risk: AdEdge technicians are highly trained and experienced with GFO (granular ferric oxide) media based systems. Poorly executed or improper change outs by inexperienced technicians, can lead to system performance issues and potential damage to a system. Safety: Our technicians have ongoing safety training and are always prepared with the proper personal safety equipment to prevent accidents. Insurance: Our technicians are covered with liability insurance and workers compensation insurance. Efficiency: Based on our experience, we can determine the most cost effective way to remove and dispose the media from your system in a safe and environmentally compliant manner. Media Performance & Guarantee: We use the highest performing granular ferric oxide media, that delivers longer life and guaranteed performance.